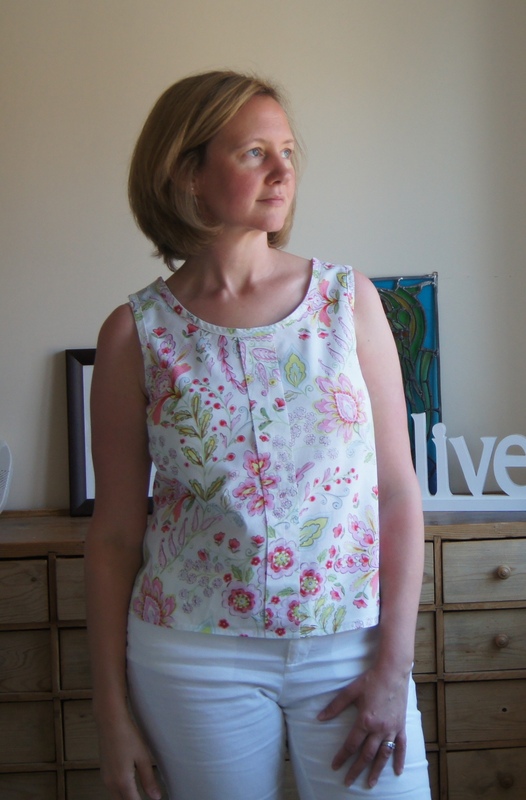 This entry was posted in Colette, Simplicity, Tops and tagged Colette, Simplicity 2599, Sorbetto, summer top. Bookmark the permalink. Lovely. 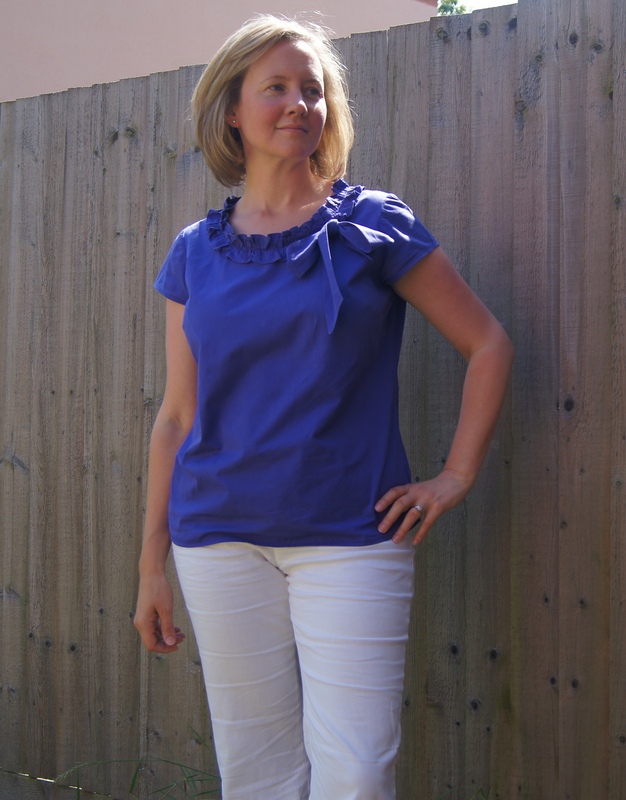 I particularly like the purple colour, even if it’s not an accurate reflection of its depth. 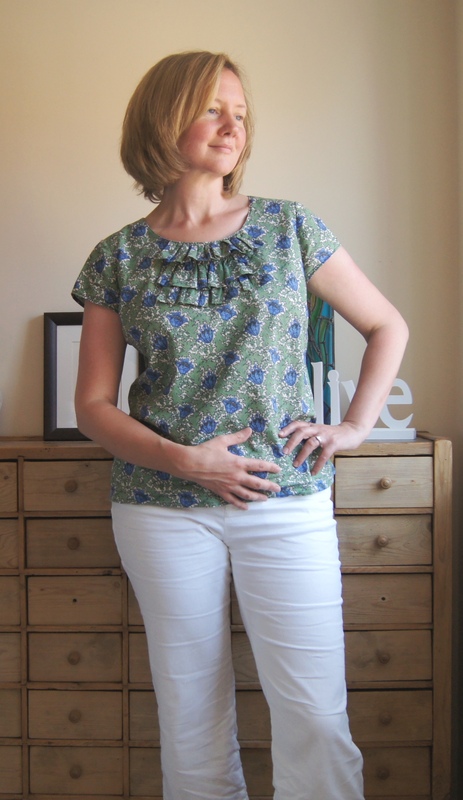 I am loving the ruffle neckline on your last blouse! And by the way you look gorgeous without a speck of makeup! Stunning!